- Date: 02/2019, Accelerator/Incubator: undisclosed amount (post valuation: $150000). OkayCrypt is CIS startup founded by Cryptonomos's COO and Arilot's CTO & COO. We took part in designing and launching first ICO platforms on the Worldwide market ( tokenhub.com and cryptonomos.com). We have deep technical experience in designing and building a high-available, secure and scalable infrastructure for high-load Fintech applications, BigData, Blockchain, and AI. Our Mission: Make the Cryptocurrency World Clean. OkayCrypt makes it possible to analyze Bitcoin transactions, associate the address with the wallet, identify the sources of income, including the income from illegal and criminal activities. OkayCrypt detects fraudulent virtual activities, prevent money laundering and the financing of terrorism. 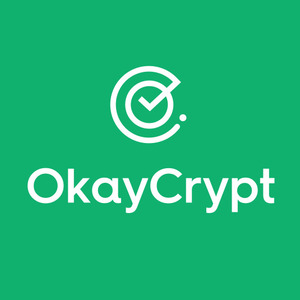 We developed OkayCrypt because our customers complain they spend too much time monitoring illegal activities of their clients instead of developing business. OkayCrypt works non-stop and helps to monitor suspicious transactions and report risk score with illegal activities without delay. Fintech and Regtech companies, that make cryptocurrency operations or will do the identification of fraudulent operations in cryptocurrencies. FinTech companies: Banks, Crypto Exchanges, Crypto Lending platforms. RegTech sector: Regulators, AML/CFT organizations and funds, Governance. Our main customers are Crypto Exchanges because the cryptocurrency mainstream passes through them. 1. OkayCrypt has analyzed the entire Bitcoin Blockchain and grouped all addresses by the user wallets, establishing all existing links on the transactions. It is a very big graph; and our system is working with it non-stop, monitoring all new blocks of the chain and analyzing them. 2. Our system parses hundreds of public resources, finds their bitcoin-addresses and assesses the public content using Machine Learning. We are planning to conduct a JTBD among our partners (Crypto Exchanges) to identify their true needs. The main marketing message will be that our customers become part of the crypto ecosystem. This will allow them to feel part of something bigger. Also, our customers can share information (suspicious transactions, addresses of fraudsters' wallets) in exchange for free checks. Now we allow 1 month for free after registration. During this period, our potential customers can appreciate the benefits of our service and choose an applicable tariff plan. At the moment, we have 4 subscription plans. OkayCrypt is an open ecosystem, where participants are motivated to share and check suspicious wallets and transactions. It provides more complete, accurate and truthful information about incidents. Our product does not work on closed static databases, it presents an ecosystem that is being constantly updated. This is the way to ensure prompt and objective analysis.